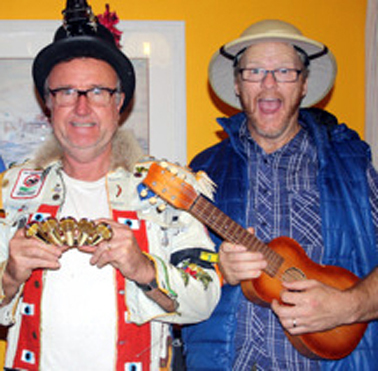 are ready to entertain you this Sunday at the Boatshed Markets. Songs from the last 40 or 50 years??? Plus a special kids segment with parent friendly shakers. We get down and do the Bluesy Hokey Pokey along with all our dancing devoted fans. Make sure you take time out this Sunday to soak up the relaxed atmosphere and great live music down by the harbour.